Akiles Diamond-5 is the ultimate industrial electric corner rounding equipment. Ideal for large jobs that require high output. Features a waste backset, radius alignment guide, and “L” guide. 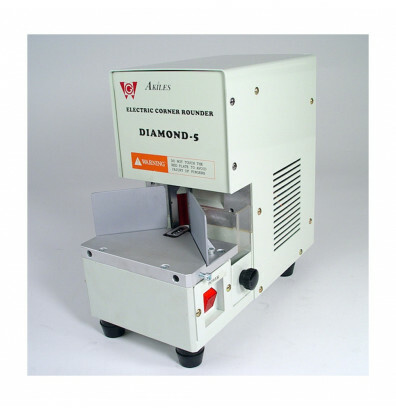 Akiles Diamond-5 is the ultimate industrial use electric corner rounding equipment. Ideal for large jobs that require high productivity. Constructed with high quality metal components and heavy duty motor for lasting use. For use with standard materials, like: PVC, polyester, leather, paper, polypropeline, etc. Specially designed to cut through multiple sheets at a time with the least effort and with minimum die depreciation. 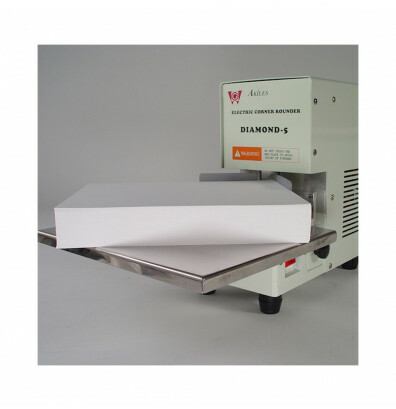 Can cut up to 2" or 200 sheets of 20 lb paper. This electric corner rounding equipment offers a practical interchangeable die system for switching between various jobs. Round cut type is ideal for rounding covers, pouches, pictures, all types of IDs, invitations, postcards, etc. 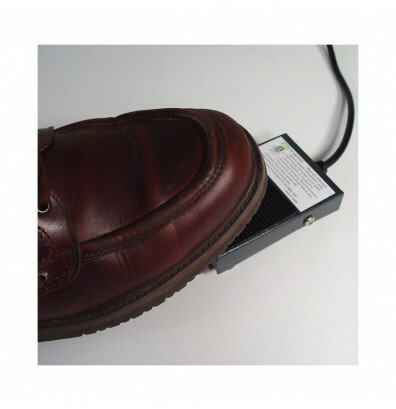 Electric operation via foot pedal for free use of both hands. The Akiles Diamond-5 electric corner rounding equipment is also available in a smaller capacity manual corner rounding equipment model. Use with standard materials, like: PVC, polyester, leather, paper, polypropeline, etc. Ideal for rounding covers, pouches, pictures, all types of IDs, invitations, postcards, etc. Available Dies: 1/8", 1/4", and 3/8"